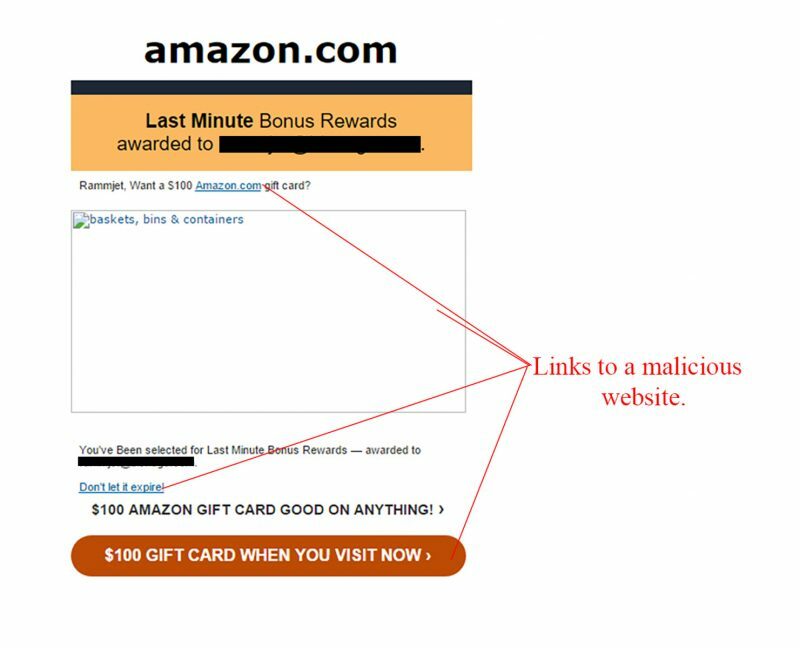 Another gift card scam has been caught by MailShark spam filters, this time targeting Amazon. Amazon is the largest internet-based retailer in the United States, however their services are available worldwide. We recommend deleting any email received of similar nature to avoid accidentally infecting your computer with a malware virus. Figure A shows the email in question. It is poorly branded and includes several dangerous links. One of the standout faults within this scam attempt is the broken image which does not work. It also includes the receivers email address twice (in black for privacy) as an attempt to convince you of its authenticity. This email is not authentic and you will not receive a $100 Amazon gift card by clicking through. The subject line reads “Don’t let your Amazon Reward Expire!” which is used to intrigue interest and rush receivers to click through and ‘claim’ the prize. The sender is shown as “Your_Amazon_Voucher” and the associated email address is in no way associated to the official Amazon website and is clearly spam. Figure B is the website you will land on if any malicious links within the email are clicked. It opens on a survey style page with a pop up. 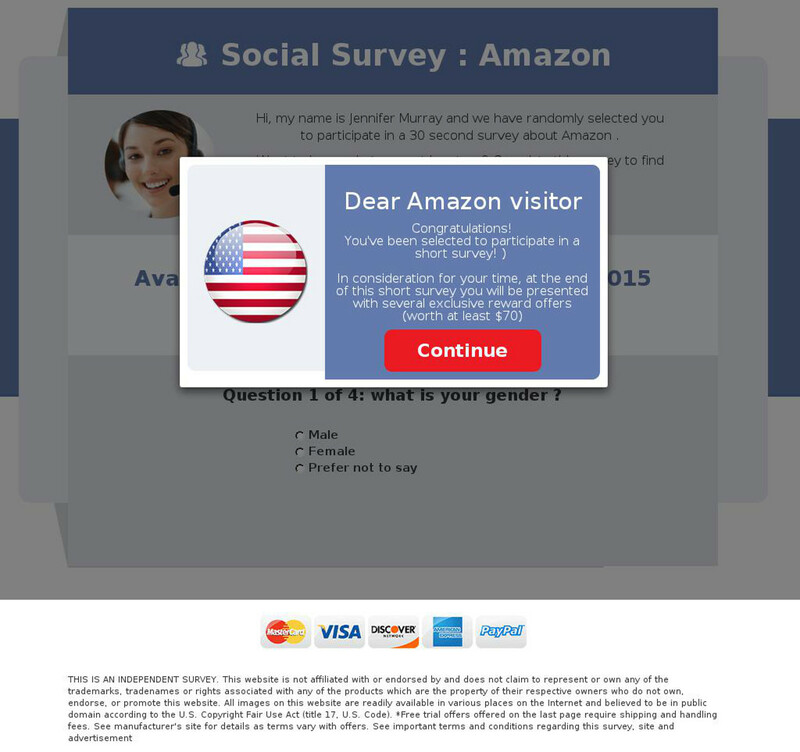 The pop up is a tactic to get you to click faster – please note that clicking anywhere on this page will be dangerous for your computer or portable devices and your personal information. The page is average branded overall but could be convincing for users who are not familiar with scammer tactics. Keep reading MailShark recent news articles to stay up to date on email scams and reduce your chances of falling victim to one of these malicious attempts. This email will lead to a malware infection, so delete it from your inbox, before it gets the chance.